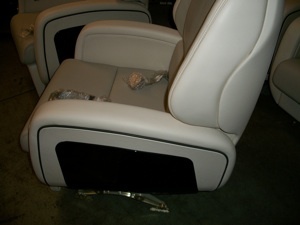 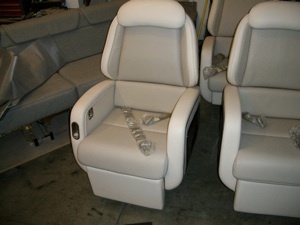 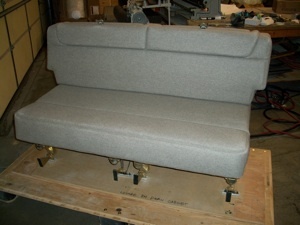 Beebe Custom Upholstery specializes in refurbishing aircraft. 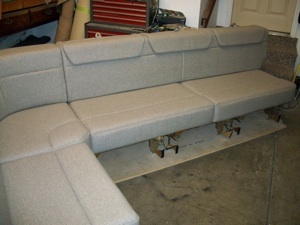 Our design team will offer several color board options for complete interiors including headliner, sidewalls, carpet, curtains, foam build up and seat design of your choice. 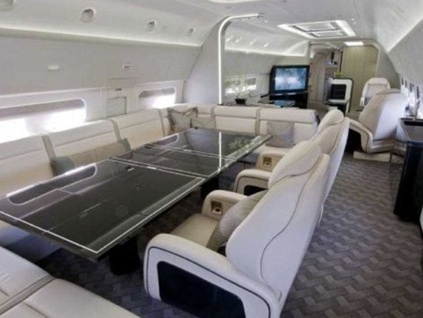 We have experience in complete interiors in Cessna 172’s, 182’s, Beechjet, Lear 25, 35 & 45, King Air 350, King Air C90, Embraer Phenom 100 & 300 and most recently a Boeing Business Jet. 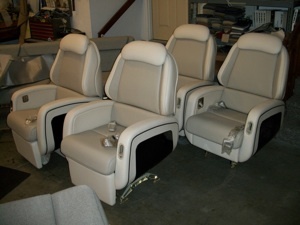 Beebe Custom Upholstery has patterns for many seat covers, including, Beech Model 1900 C & D, Jet Stream, Kodiak Quest, Embraer 120, PA-31Chieftan, DeHavilland DHC-8-100. 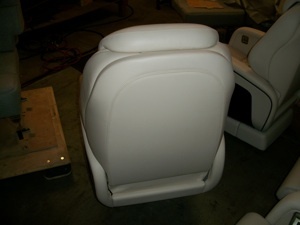 If you have an existing seat cover we can make patterns for any aircraft.